Gift boxed Megaloolithus, Hypselosaurus, Saltasaurus and Oviraptor dinosaur Eggshell specimens. As you all know, dinosaur eggs are expensive, but they are not as rare as people might think. Those of Quality however are rare and these are what cost real money to collectors. But so many people can have a little bit of this special fossil type, and there is often a good quantity of eggshell sections. These are great for children and collectors alike because they are affordable and easily displayed in their gift boxes they come with. The first time an egg breaks when the young dinosaur hatches out causes the egg to shatter at the top. Then the fumbling young dino and often Mum, trampled over the egg site. And then you have the millions of years that follow until they are found by Palaeontologists so its a geological miracle that they survive and not end up like grains of sand! So they have seen a dynamic life. These eggshell pieces has many beautiful patterns and colours. Larger pieces of hatched egg added also. Both the Chinese and South American eggshells now have a no export on them so what is on the market now, is likely to be all there will be from now on. We still have good stock of material so will hopefully be able to offer it for a good while yet. The French Hypselosaurus material is the rarest of them all and are likely to be a collector's favourite. Most of the Artwork below is by Nobu Tamura. 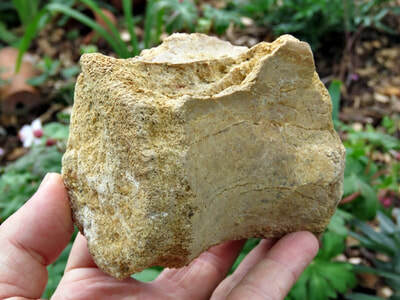 A rarely available dinosaur eggshell from the Spanish Cretaceous dinosaur beds. Most often when a species is known it has a name and its well researched. 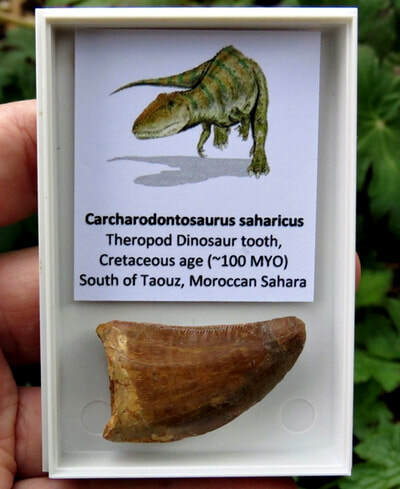 However, although this shell comes from a titanosaurid dinosaur, no one has yet identified which one, because it is rare in this region. 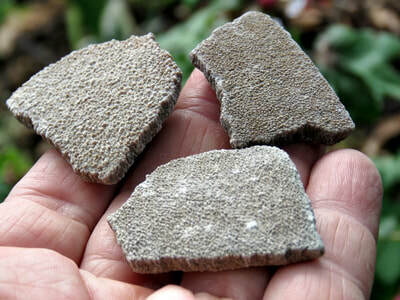 When bones are not a reliable way of identification, but trace fossils or dinosaur eggshell are available, then its a common practice for the actual eggshell to be given the taxonomic name. 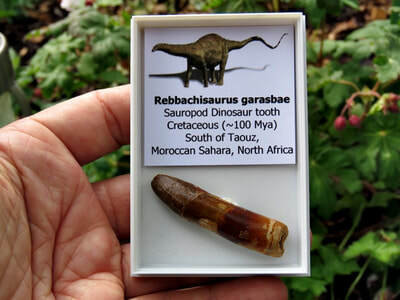 In this case Megaloolithus sirugei describes the actual fossil itself as little is known about the creature that created it. One day we will have a name, but in the mean time I will let the fossil do the talking. So for the time being we'll call it Megaloolithus sirugei. 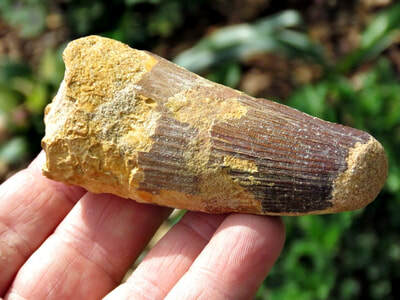 Found in Burgos, Spain, and upper Cretaceous age (80 MYO). One of the rarest of dinosaur eggshell fossils, Hypselosaurus priscus is found in France and some other European countries. This dinosaur grew to an impressive 27ft in length. It is one of the heaviest Titanosaurs that laid some of the thinnest eggshells! It has been found that younger individuals gave rise to thinner eggshells, older adults having slightly thicker eggshell quality. This could in fact be due to regional calcium mineral levels, drought, environment issues and social aspects may in fact be the cause of why these eggshells are so thin. For an egg that is estimated to be around 1ft across, its a living wonder! 70 Million years old, Provence, France. Larger than average sections of hatched eggshell. Rare to find such sizes, they are most often the small pieces usually. The white powder is from the matrix rock it was surrounded by. All are slightly Curving pieces. From Patagonia, Argentina, 70 Million years old. No longer exported from South America so becoming scarce. 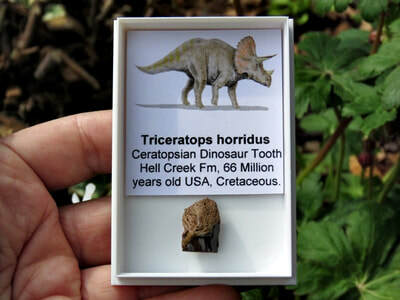 Small sections of Oviraptor dinosaur eggshell from China, gift boxed ready to go. 'Oviraptor' means egg thief and was regarded this for many years by Palaeontologists because of the eggshells found in known Oviraptor sites. Then new research discovered that the eggshell remains found at the sites were in fact Oviraptor species and the individuals they found likely to mothering dinosaurs caring for their own brood.